Frost Free | Pro Chem, Inc. 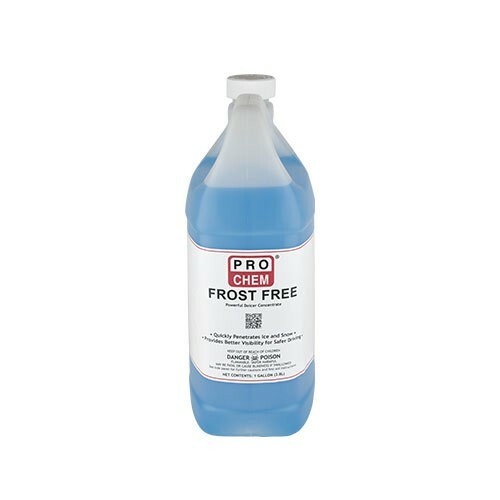 FROST FREE is a methanol-based deicer that penetrates ice, frost and snow quickly to provide better windshield visibility and safer winter driving. The concentrated formula allows for custom dilution levels for different weather conditions. For summer use, add 12 ounces FROST FREE to 1 gallon of water to make a washer solution.